Find out how honey is extracted, recognise and prevent swarming, manage pests and construct a hive - includes a visit to an apiary so bring your beekeeper's outfit. 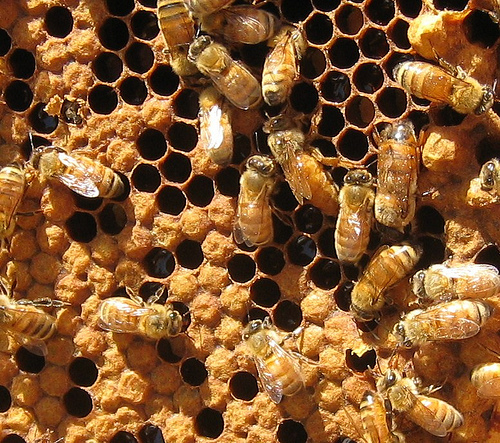 This is a practical and hands-on experience so bring your beekeeper’s outfit and your lunch. (We can lend you a veil if you don't have one, but please contact the CEC office in advance). The workshop starts in the classroom and is followed by a visit to a local apiary. If weather isn't suitable on the day, the morning session will still go ahead but the visit will be postponed to the next available Saturday. Please note that if you can't make the catch-up visit, it's not possible to join in later courses due to number restrictions (a part-refund will be made). You must have done the Beginners' course first. For those who have completed the Beginners' course or equivalent.